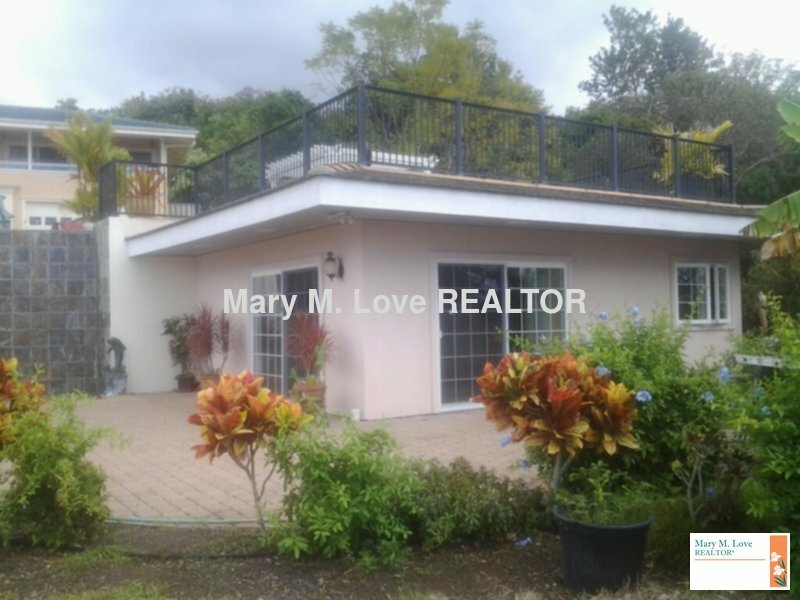 Residential Rental Listing 1 bed 1 bath in Kailua-Kona, HI. Located in one of Kona's premier subdivisions, on an estate, this upscale large studio has it all! located in one of kona's premier subdivisions, on an estate, this upscale large studio has it all! When you see the setting of this studio, it feels like you are nestled in your own private resort. This gorgeous, high end studio is more like a cottage - it is completely separate and hidden from the main house and has its own lavish grounds, ocean views, private gated entrance, a dipping pool with jacuzzi jets, vegetable gardens, fruit trees, etc. Located on an estate of almost 2 acres (it is a working avocado farm) this studio has the feel of luxury the moment you enter. The kitchen and baths are spacious and beautiful. Parking in the driveway. The studio does come with a small lovely dinette set w/four chairs and a big screen TV. Washer and Dryer are located inside the unit. Parking is in the driveway of your private entrance. It is extremely private and quiet. No pets/no smoking. $2200 per month for 6 months with an option to renew. $100 for all utilities and yard maintenance (based on single occupancy, $150 for double occupancy.) $2200 Security Deposit in cash or money order. Available Now. Please call the office to schedule a viewing. Applications onsite at time of viewing.